By now the story can be recited by heart. You go in for oral surgery or for an orthopedic ACL repair and your physician provides you with a 30-day supply of painkillers, which then results in an opioid addiction. This scenario has played out across the nation, resulting in over 200,000 deaths in the last decade. 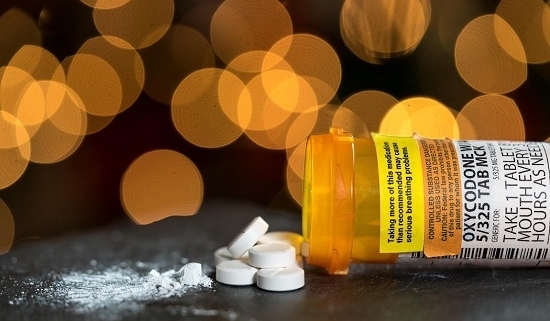 Addiction may take root innocently, often within a week or two of using the legitimately prescribed painkiller for valid reasons, or by misusing the drug recreationally. Either way, once addicted the usual trajectory leads to illicit opiates that eventually replace the painkillers. Heroin costs a fraction of the pills, is easily obtainable, and offers a more enhanced high that the opioids. The problem is, although heroin has always been a deadly drug, these days heroin is laced with fentanyl, which has lead to the spike in deaths in recent years. If the problem is not reined in, there are predictions that the U.S. could lose half a million more lives over the next ten-year period to painkiller addiction. As the opioid death rates continue to ratchet upward, aggressive steps are being taken to rein in the over-prescribing of the drugs that so many doctors, dentists, and surgeons had been participating in for the last two decades. Rooting out the underhanded practices of receiving spiffs or manufacturer kickbacks for prescribing the drugs, pill mills, opioid-related Medicare fraud, and the untruths presented by the drug makers who had claimed the drugs had a low risk of dependency, has been front and center in the news the past couple of years. Regardless of current or future efforts to fix the problem, millions of Americans now struggle with opioid addiction. Some may not even be aware yet that they have a problem, and may only come to realize it when they attempt to discontinue using the drugs. For this reason, understanding the signs of painkiller addiction is important to getting treatment as soon as possible, before the addiction becomes deeply engrained. The earlier in the addiction that treatment is obtained, the better the recovery outcome. Increasingly, science is studying brain structures and chemistry to gain a better understanding of how addiction develops. Becoming addicted to a drug or alcohol varies from individual to individual, with some becoming addicted much sooner than others engaging in the exact same behavior. This can be due to physiological differences in body composition or due to genetic make-up, but regardless, consistent use of a highly addictive substance like painkillers will always lead to addiction or dependency eventually. The synthetic opioids bind to our natural opioid receptors, stimulating them and confusing the brain as it is flooded with dopamine. Over time, the brain ceases to even produce its own dopamine any longer, now dependent on the painkillers to provide it. When the individual attempts to stop taking the drug, the body will, within hours, begin rebelling with highly uncomfortable withdrawal symptoms. To avoid this pain and discomfort, the individual reverts back to using the drug. What Are the Steps to Detox From Painkiller Addiction? The detoxification process from painkillers is highly uncomfortable. For this reason, in order to successfully complete detox instead of giving up, it is essential to detox in a medically supervised environment. The trained detox specialists can anticipate the withdrawal symptoms and be prepared to intervene with medications and other therapeutic support that will mitigate much of the discomfort from the withdrawal symptoms. The detox timeline for opioids is approximately one week to ten days, depending on certain factors such as the length of history of abusing the painkillers, the general health of the individual, the age of the individual, and whether there is a dual diagnosis (coexisting mental health disorder). Withdrawal symptoms will peak at about 72 hours and then begin to subside as the toxins are expelled from the body and the brain chemistry starts to stabilize. Detox is only the first step in recovery from a painkiller addiction. Once detox is completed, the individual enters the treatment phase of recovery, which can last for several weeks to several months, depending on the severity of the addiction. This guided recovery process can ultimately result in a renewed sense of joy and hope for the future.